We like Snapple. We like fun facts. 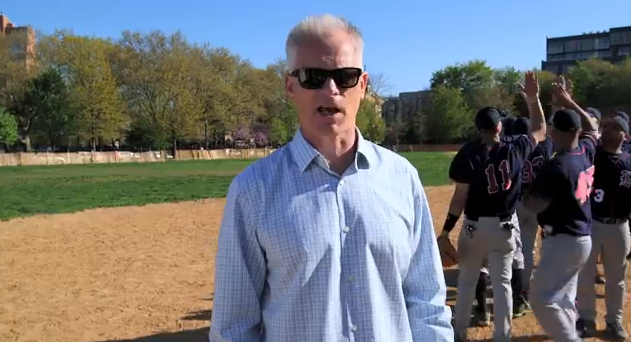 Which is why we are saddened by this utterly inane, completely boring video featuring ESPN anchor Kenny Mayne sharing the origin of the high five and how a day in the park with his daughter inspired him to form the Kenny Mayne National High-Five Preservation Society...of which he is the only member. n the video, part of the brand's Re-enFACTments campaign, Mayne drones on and on and on about the high-five's origins, usage offshoots (like the fist bump) and shares examples of proper high-five ettiquette. It could have been funny. It's not. Maybe we hadn't yet had enough coffee before viewing. No. It's just boring.